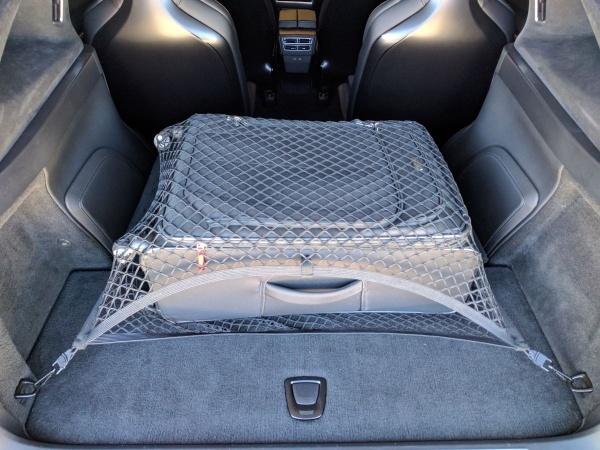 "Envelope" style Floor cargo net for 6 & 7 passenger Model X.Because the net is sewn shut on three sides, smaller Items stowed inside the net can not escape, which can happen with a cheaper single layer net stretched only over the top.Without a cargo net, unsecured items can migrate into the 6 seat passenger area, and scratch glossy seat backs. 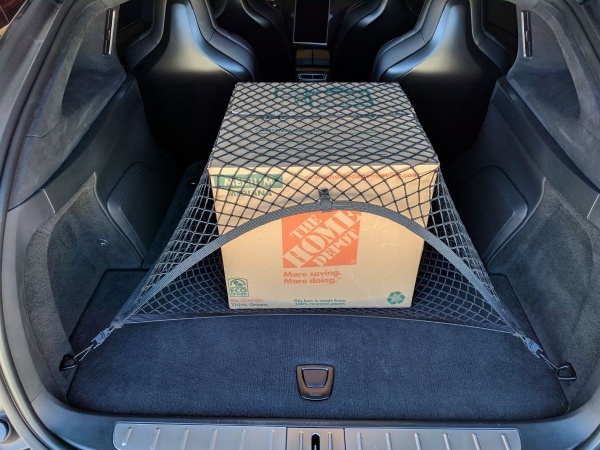 Securing items inside this net will prevent that from happening. 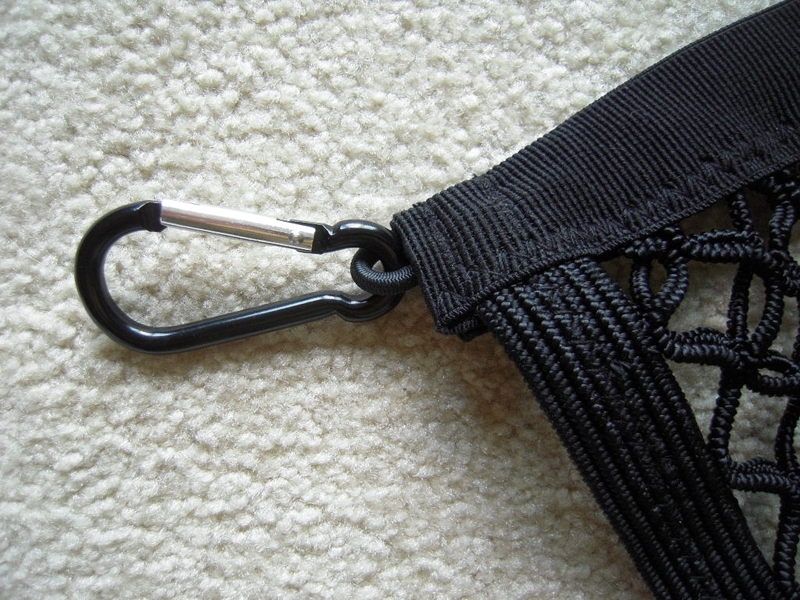 Each corner is secured by a strong aluminum correctly sized carabiner, not a plastic snap hook. 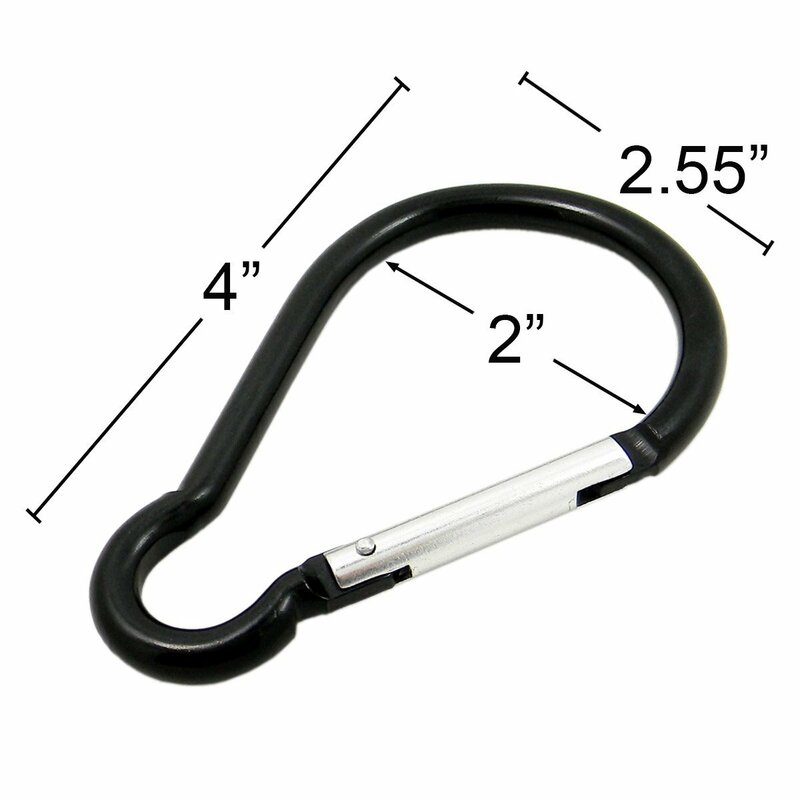 The hooks can be easily connected to, and easily removed from, your four factory D-Ring Anchors. What makes this net exceptionally strong is the tight 1 inch spacing of the diamond shaped netting mesh. This is not your typical cheaply priced net found on ebay. 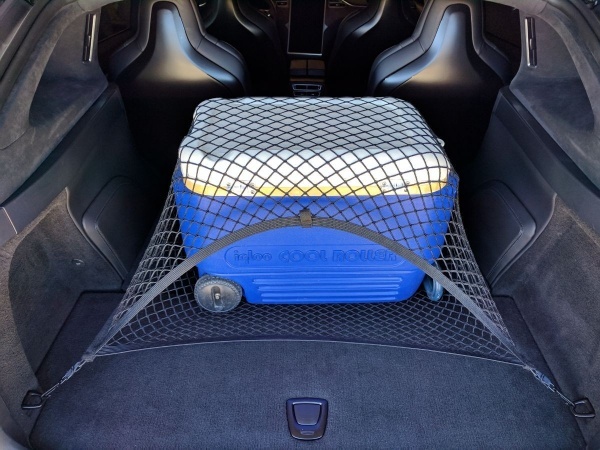 From securing fragile items, boxes, grocery sacks, ice chest, luggage to sports equipment; this cargo net will be a very useful accessory for your Model X. 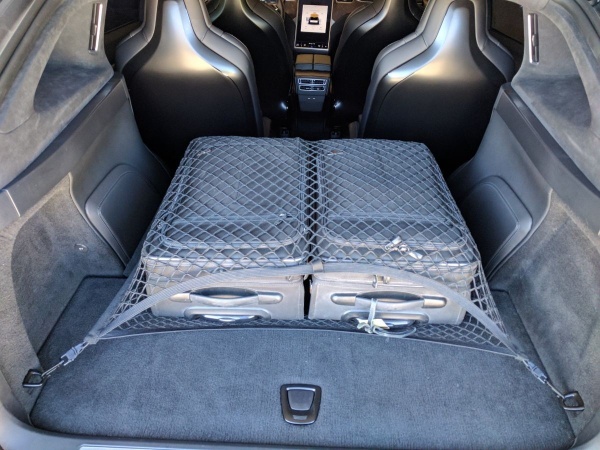 "Envelope" style Floor cargo net for 5 passenger Model X. 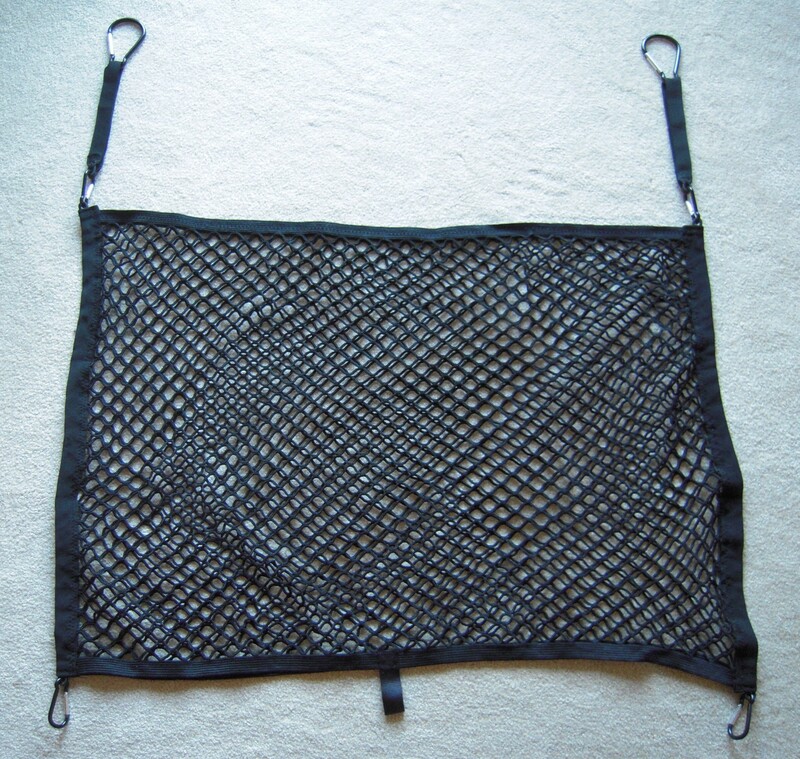 Because the net is sewn shut on three sides, smaller Items stowed inside the net can not escape, which can happen with low priced single layer nets which only stretch only over the top of secured items.Each corner is secured by a strong aluminum correctly sized carabiner, not a plastic snap hook. 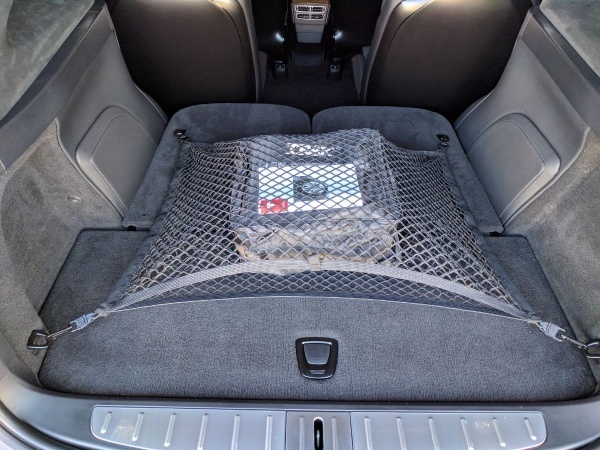 Installation and Removal of the net is very easy. 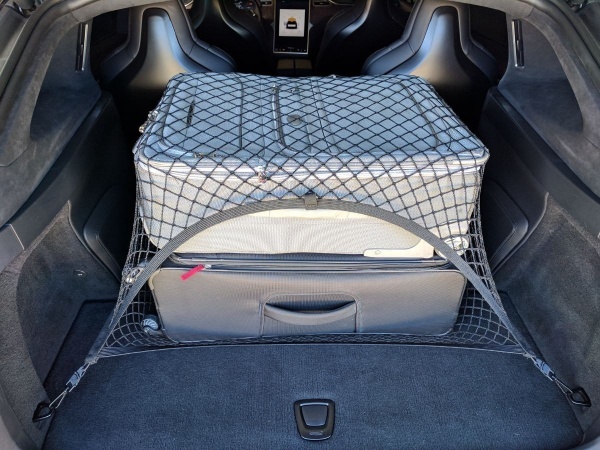 Since Model X 5 passenger has no D-Rings in the front of the trunk, large carabiners are used to attach the net to seat legs. 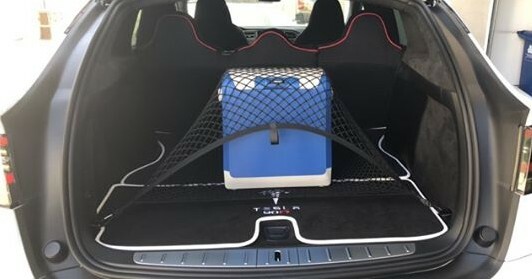 very useful accessory for your Model X.